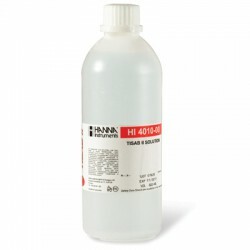 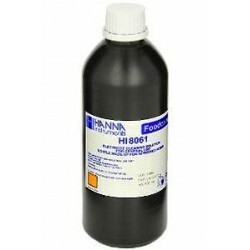 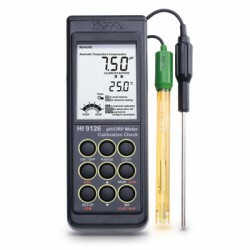 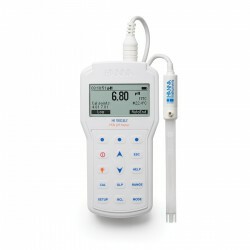 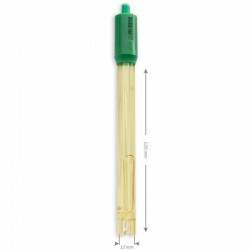 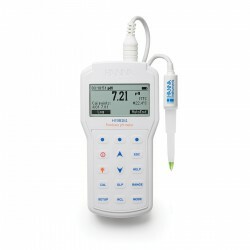 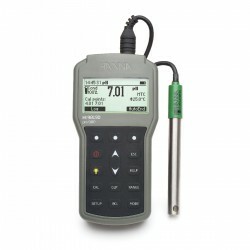 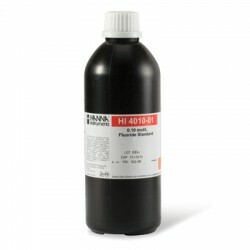 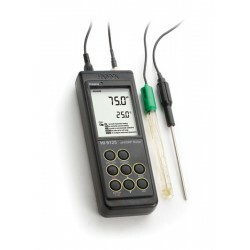 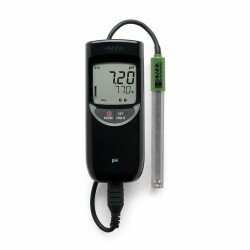 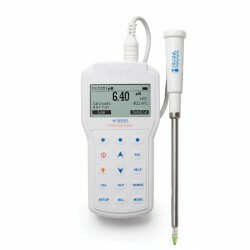 HI-98402 measures fluoride from 0.05 mg/L to 1.9 g/L in 5 distinct scales. 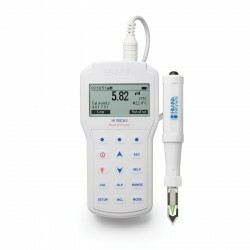 With autoranging, HI 98402 automatically selects the range that provides the best resolution. HI 98402 automatically compensates for temperature from -5 to 55°C using the optional HI 7662 stainless steel temperature probe. 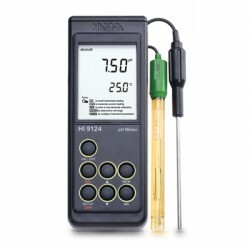 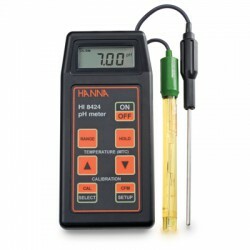 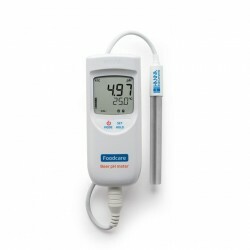 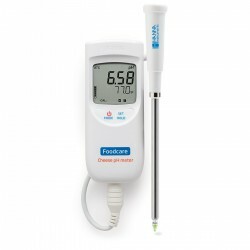 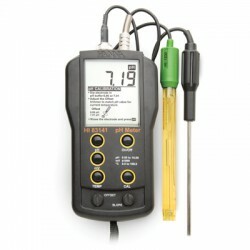 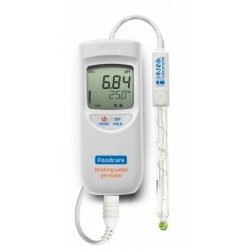 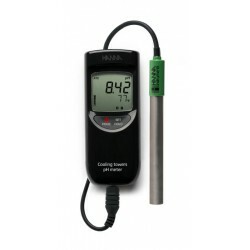 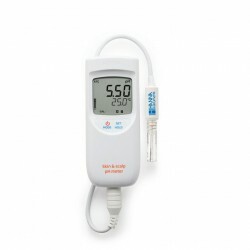 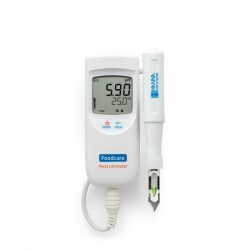 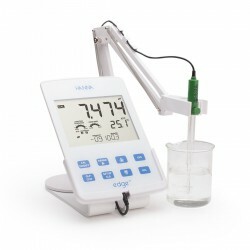 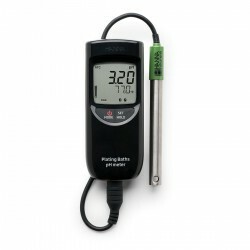 Both the temperature measured together with fluoride concentrations are displayed on the large LCD. 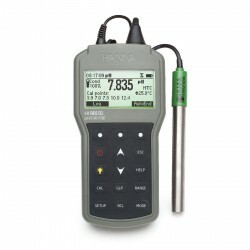 Calibration is automatic at 1 or two points. 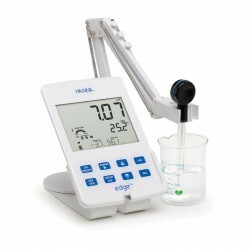 The calibration points can be chosen among 1 mg/L, 2 mg/L, 10 mg/L, 100 mg/L and 1000 mg/L. 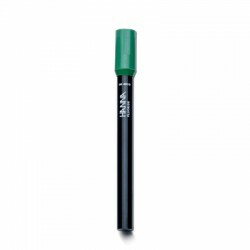 HI98402 is supplied in a rugged carrying case complete with batteries that provide up to 200 hours of continuous operation.